Any Jew over the age of 12 ½ years (male or female), meeting the specific requirements listed below is acceptable for a Bar or Bat Mitzvah. Everything which is considered right and proper for a Bar Mitzvah is deemed to be right and proper for a Bat Mitzvah. The Bar/Bat Mitzvah must have both religious education and experience in Reform Judaism, and a technical proficiency in liturgical Hebrew. In order to satisfy these requirements, all Bar/Bat Mitzvah candidates must have the equivalent of three years of education at the Temple Shalom Religious School including the Bar/Bat Mitzvah year. The School Committee and the Rabbi and/or the Ritual Committee will determine equivalency of other education programs. Those children determined to have an equivalent education are required to attend Temple Shalom Religious School for that portion of the program which focuses on Synagogue Skills, liturgy, torah commentary, and Reform Judaism (Sunday mornings), for a minimum of one year, during the year of their ceremonies. This enables these children to become more familiar with the Reform Service, and enables them to become a part of the Temple Shalom community. The Bar/Bat Mitzvah must participate in an approved Social Action Project. In order to put concepts of living Jewishly learned in Ketah Zeyin into practice, Bar/Bat students will participate in Tikkun Olam. This will take the form of an individual social action project which will involve the student regularly for an extended time (usually several months). Students may also be involved in one or more class mitzvah projects. The Bar/Bat Mitzvah families must meet as a group for a discussion with the (Student)Rabbi prior to the ceremony. The Bar/Bat Mitzvah candidate, with at least one parent, is required to attend at least 10 (ten) Shabbat services at Temple Shalom in the year prior to the ceremony. Candidates and their parent(s) must sign the attendance book and check in at each service they attend. The Bar/Bat Mitzvah and his/her family will meet regularly with the (Student)Rabbi and/or other synagogue representatives, as required, throughout the year preceding the ceremony. The precise role of the child and participation of other family members within the service will be decided upon at these meetings. The family is expected to use Temple Shalom’s approved Bar/Bat Mitzvah ‘tutor’ (this may be the Rabbi, the Cantor or another appropriately knowledgeable individual chosen by the Temple). The family must receive approval for alternative instruction from the (Student)Rabbi and/or Ritual Committee. In that case, the ‘tutor’ must provide progress reports to the (Student)Rabbi and /or Ritual Committee at least bimonthly. The (Student)Rabbi and/or Ritual Committee is the primary contact for the scheduling and arrangements pertaining to all Bar/Bar Mitzvah ceremonies. Bar/Bat Mitzvah ceremonies are normally held on Saturday mornings. Friday evening, Havdallah, or Minchah ceremonies may also be considered. 3. Delivering a ‘speech’ (teaching) which relates to the Torah and/or Haftarah portion. 4. With the agreement of the (Student)Rabbi and/or Ritual Committee, the Bar/Bat Mitzvah (and others at the service) may also read other prayers or selections during the service. Flexible participation will be arranged in order to insure that candidates with special needs have the opportunity for a meaningful and appropriate ceremony. There must be a rehearsal of all people immediately involved in the Bar/Bat Mitzvah ceremony at a time agreed to by the (Student)Rabbi and/or Ritual Committee and the family. In keeping with Reform Jewish custom, there are normally 3 aliyot called to bless the Torah including the Bar/Bat Mitzvah. It is customary that the other 2 be given to parents, grandparents, siblings or other persons very close to the Bar/Bat Mitzvah. More than one person can be called at the same time (e.g., mother and father, all grandparents…). At the ceremony, the wearing of tallit (prayer shawls) and kippot (head coverings) is optional. Flowers may be purchased by the family to enhance the beauty of the Sanctuary. Photographs may not be taken during the ceremony. Photographs may be taken prior to the service. Videotaping may be done during the ceremony, with a single stationary camera at an agreed upon location. Supplementary lights or other equipment are not allowed. The videographer must be unobtrusive throughout the whole ceremony. 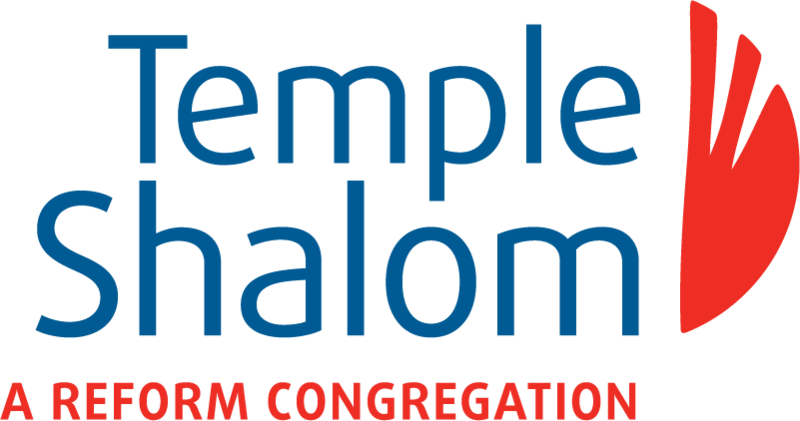 Officiating by a Rabbi/Lay Leader or Cantor not affiliated with Temple Shalom requires written approval of the Rabbi and/or Ritual Committee. In planning the Oneg or Kiddush following the ceremony, families should be aware that Temple Shalom does not have a kosher kitchen. It has a vegetarian/dairy (Milchig) kitchen and kosher or non-kosher caterers can be used to provide dairy meals for the function. Preparation for the Bar/Bat Mitzvah will be taught by a private tutor. The tutor’s fees are paid for by the family. All fees must be paid in full prior to the date of the Bar/Bat Mitzvah. All synagogue fees, including Membership Fees, School Fees and the Building Fund must be paid 6 (six) months before the scheduled date of a Bar/Bat Mitzvah ceremony. If payment is not received as scheduled, the Bar/Bat Mitzvah ceremony will be cancelled. The family will be notified of such a situation 4 (four) months prior to the scheduled Bar/Bat Mitzvah date. Arrangements for payment of fees must be made with the Finance Committee if full payment is not possible by the required date. $500.00 as a tax-deductible donation for a mitzvah. $175.00 approx. for security services (paid directly to the secuity company once we get their bill. The family is fully responsible for the covering the costs of any damage to the Temple or excess cleaning required as a result of the Bar/Bat. Family itemizes the expenses for non-invited guests and submits bill to the Temple. Temple reimburses family for expenses and family donates the reimbursement back to the Temple.